Preaching the Gospel is fundamental to the community outreach of the College. “Go rebuild my church” was the command that St Francis first heard in the ruins of the tiny chapel of San Damiano on the outskirts of Assisi. From the crucifix hanging on the wall of the chapel Francis was animated to begin rebuilding the chapel that had fallen into disrepair. This work soon attracted others and before long the task of renovating the chapel was completed. It wasn’t until that point that St Francis realised what God was calling him to do. The community of Padua is encouraged to look for ways we can rebuild God’s church in today’s context. The avenues for this service can be local, national or even international. Preach the Gospel and, if necessary, use words. 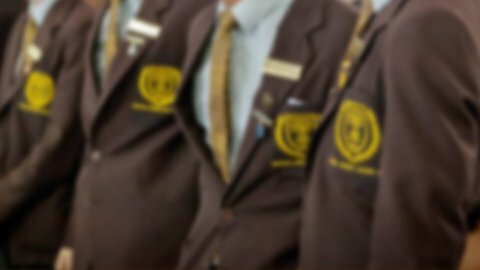 Franciscan work for justice is imbedded in the Gospel and based on action as is the case for the staff and students of Padua College. Our Community Outreach Program empowers our students to take action and increase their awareness of social justice issues. The College prepares students to be active, informed and responsible global citizens. Padua’s approach to service is founded in the experiences of St Francis. When seeking St Francis’ approval to teach the Friars, St Anthony was told that he could teach them only if it did not interfere with their spiritual work and prayer. 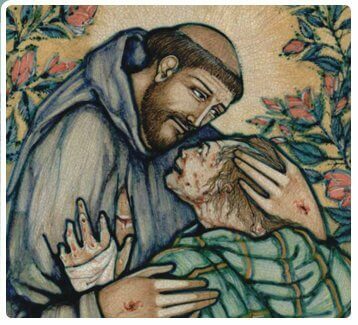 Working for justice at Padua requires a ‘conversion’ of heart, much like that which occurred to St Francis and his experience with lepers. His challenge is not easy, or to be taken lightly if we are to work in the creation of God’s kingdom here on earth. On first meeting a leper, Francis was revolted and ran away. But later upon understanding that each person and creature was indeed his brother and sister, Francis embraced the leper and began a lifetime of service to the poor and marginalised. While leprosy as a disease is no longer common, it remains as a strong symbol. While there is violence, war, disease and injustice in the world, contemporary Franciscans are encouraged to be on the look-out for these ‘modern lepers’ and to be moved to do something helpful. At the core of the Franciscan ethos is St Francis challenging to us to be peacemakers. Thus, he echoed the words of Jesus in his famous sermon.